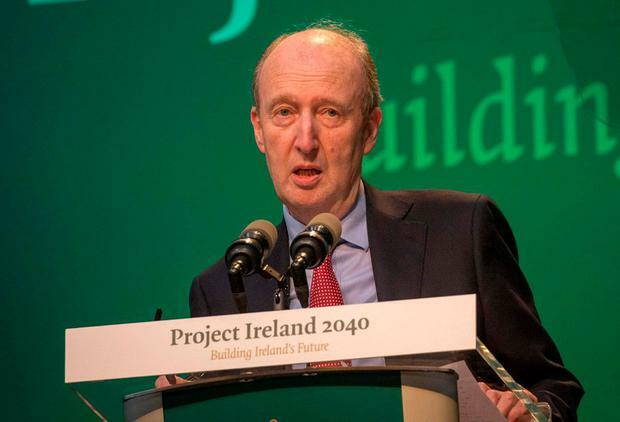 Sports Minister Shane Ross has increased pressure on the FAI for major management and board changes - bluntly warning it may not qualify for an expected €15m share in big sports project grants to be decided soon. Mr Ross yesterday said he had serious concerns about corporate governance issues at the FAI. He said the football association should have given answers to the Oireachtas Sports Committee last week - and was still obliged to address those issues. The minister then delivered a message to the FAI ahead of the deadline on applications for a total pot of €100m in sports capital grants. "Get your corporate governance in order. If you do not get your corporate in order, you will not get any money," he publicly told the FAI. Already, the official sports body, Sport Ireland, has cancelled the €2.7m yearly funding it gives the FAI because of its failure to answer a range of questions about the soccer organisation's accounts. Sport Ireland chairman Kieran Mulvey and chief executive John Treacy are due back before the Oireachtas sports committee tomorrow and so is Mr Ross. Committee chairman Fergus O'Dowd said the TDs and senators will be asking the same questions of the executives and minister. "We want to know what answers - if any - they have from the FAI on our questions, which have gone unanswered despite plenty of advance notice," he told the Irish Independent. Political sources expect Sport Ireland to indicate what it needs to allow it to reverse its freeze on FAI funding. Demands are likely to include big changes at board level, an increase in the number of independent board nominees, a swift conclusion to reports by outside consultants, and a prompt move to implement these expert recommendations. One politician suggested this meant the FAI would be left with no alternative beyond a major clear-out to save funding. Much hinges on the actions of Mr Delaney today.